What are “Personal Kanban” and “Kanban”? A Kanban is a special type of a to-do list. It has been invented by the japanese car-maker Toyota in the nineteen-forties to steer its production lines. It is truly time-tested. Over the years, the Kanban principle has trickled into the software development industry. And not long ago people found out that what they use in their bureaus or factory buildings could be used for their private tasks, too. Hence Personal Kanban has been born. 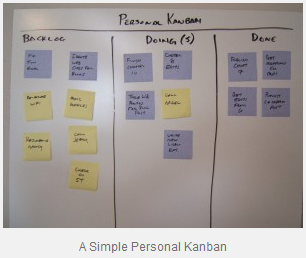 In its simplest form, a Personal Kanban looks like the image above. The image is from Jim Benson’s famous Personal Kanban site. Jim has probably written the first book about Personal Kanban and has held a talk about the system at Øredev. What you see above is a to-do list with some special features. Tasks are noted on Post-Its. 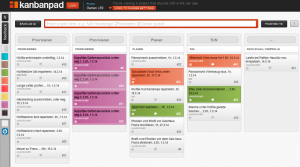 Every column denotes a certain state of the tasks in it. The tasks or Post-Its travel from left to right. You should be working only on tasks in the column Doing. This column is also often called Work in Progress. The number of tasks in the column Doing or Work in Progress is limited. The limit number usually is well below ten. Why Does Personal Kanban Help You? Yeah, I know, this system looks very simple. It looks too simple. It looks like a to-do list and not much more. But great traits emanate from the easy rules. By having a limit on Work in Progress, you need to think about prioritization automatically. By limiting the number of your Work in Progress tasks, you are automatically focusing on finishing tasks before starting new ones. Because many tasks are visible on the board, you are automatically identifying problematic spots. 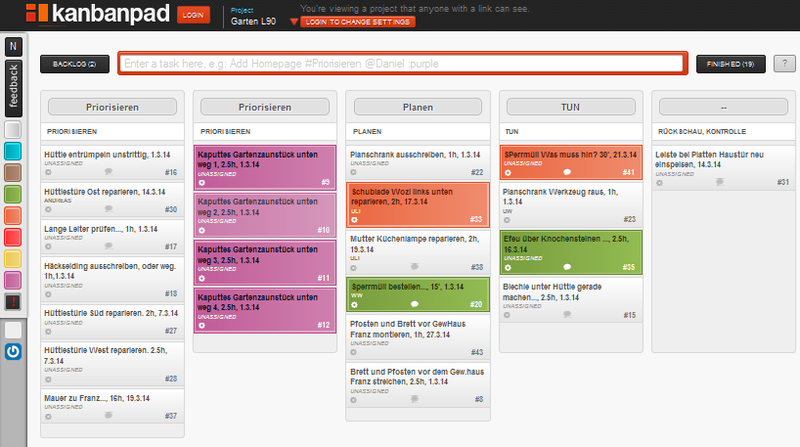 And you get a good overview of your workload in total. In a strange way it is motivating to be able to move the tasks from left to right. The Done column helps you to feel good about having accomplished something. All this will happen when you are using a Personal Kanban. You don’t even need to put special effort into it. For three years now, I am doing my own Personal Kanban with a free web-based tool called Kanbanpad instead of a whiteboard and stickers. Some say that a web based kanban is lacking the visibility, touchability and realness of a whiteboard kanban. Update: Kanbanpad is shutting down in March 2015 ;-( For the moment, I am using Portable Kanban. You do not need to uglify some precious wall space in your flat with a whiteboard. You can put stuff there that shall not be seen by everybody who enters your flat. You can add as many notes as you need to a task. When tasks are done, they are still available later. It is sometimes quite useful to re-check the notes of a task that’s already done. You can create as many tasks as you want. No blizzard of flying Post-Its after opening a window. And, obviously, you can access the board from every place where you have got a web connection. This post has been on my list for a long time. Martin’s blog parade about My Best Hints for Productivity has triggered me to finally write it. Thank you, Martin.